Courtesy of Berkshire Hathaway HomeService, Tammy Davis. MOST DESIRABLE LOCATION IN CARMEL VALLEY! 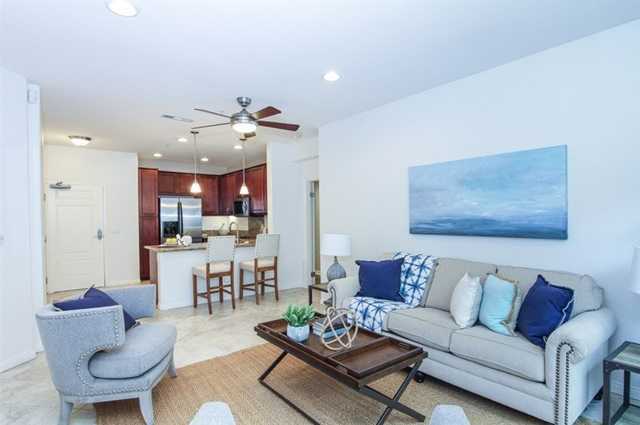 Walk to Del Mar Highlands Town Center and One Paseo! Close to world famous San Diego beaches, award winning school districts and much more! Enjoy the spacious ground level 2 bedroom, 2 bath condo with upgraded hardwood and tile flooring. Access to Carmel Valley Community pool, dog run, private gym and lovely outdoor BBQ’s and fountains!